He has been a member of good standings with the NHPC since 2009 and has 2200 hours of massage training. 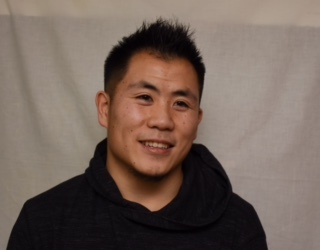 Darren specializes in deep-tissue therapeutic massage, sports massage and orthopaedic massage. He has also been trained in Active Release Technique (full body). kinetics (science of human movement) into his treatment approach. mountains, and exploring new places. "Some of the best staff that "actually" do care that you are improving health wise. They take the time and effort to get you back up and running." "Awesomeness, is the one word I use to describe the Action Sports Clinic team. They help mend me up when I don't keep the rubber side down, go whisky throttle and when crashing into trees in winter and summer."